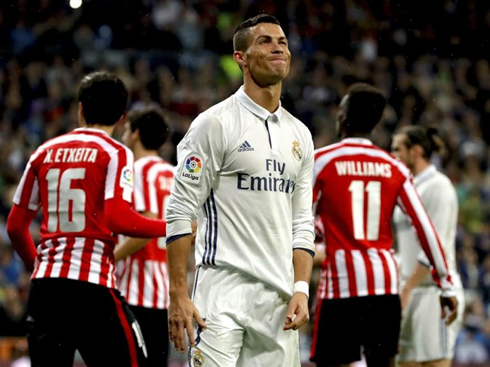 ﻿ Real Madrid 2-1 Athletic Bilbao. Back to the top of La Liga! 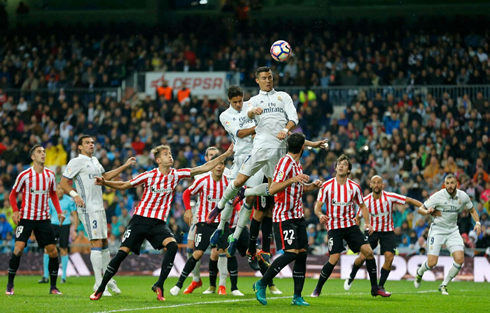 23.10.2016 » Real Madrid 2-1 Athletic Bilbao. Back to the top of La Liga! 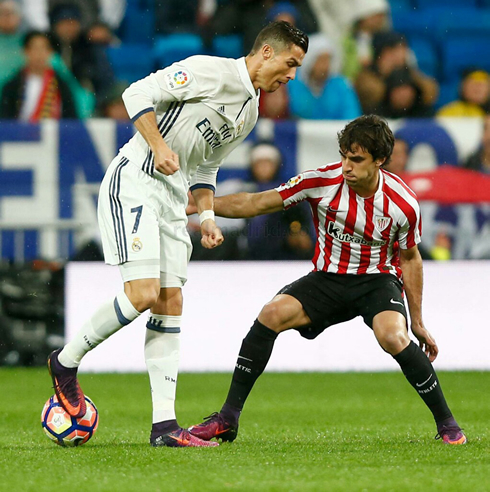 It was a very complicated win at the Bernabéu, but Real Madrid managed to come out victorious 2-1 against Athletic Bilbao and with that, grab La Liga lead. Benzema first and Alvaro Morata with the late winner scored the Merengues' two goals. It's getting very very tight at the summit of La Liga, with the top 5 teams separated by a mere three points. Atletico Madrid, who were first ahead of this weekend, are now down to 5th after losing 2-1 against Sevilla, a fate that Real Madrid themselves almost suffered in their game against Athletic Bilbao hadn't it been for the late goal delivered by the birthday boy Alvaro Morata, who allowed them to secure the three points in a 2-1 home win. Barcelona also barely scrapped out a win in Valencia earlier on Saturday, beating Los Che 3-2, thanks to a late Lionel Messi winner already inside injury time. It's always a tough game against Atheltic Club, but Real Madrid tend to handle business at home more often than not. Isco was again rewarded for his recent performances with another start at the heart of midfield, alongside Kovacic and Toni Kroos. 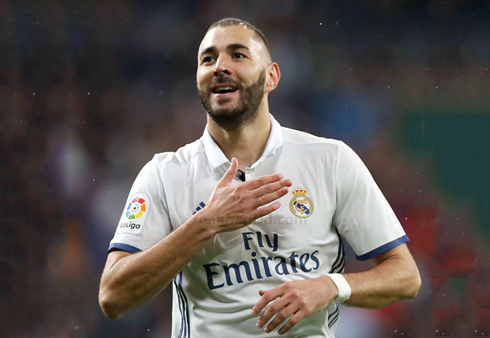 And it wouldn't take long for him to make an impact, as he set up the opening goal for Karim Benzema, in the 7th minute of the first half. As of late, Real Madrid have really struggled to create in front of goal. Despite some high scoring games here and there, Madrid have failed as a whole to look like a cohesive unit. Some slipshod defending would lead to the equalizer however, as Varane, Pepe and Carvajal would fail to clear the ball leaving a relatively easy chance for Sabin to finish. 1-1. Again, it looked like Madrid would be heading for a draw. The second half saw a switch to a 4-4-2 formation and an alarming amount of missed chances. Especially from Ronaldo, who has really been off the boil as of late (more on that later). But as time ticked down, some persistent football from Alvaro Morata lead to the game winner. 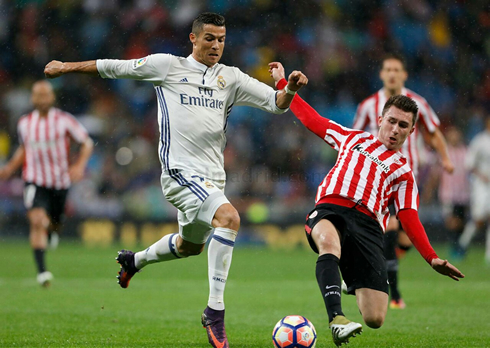 The 24-year-old, playing on his birthday, managed to bundle home a follow up from his earlier effort, giving Madrid the last gasp victory. A goal that sent the Merengues to the top of the league as well. One key moment however happened with the last kick of the game. A visibly upset Ronaldo, had the chance of all chances, alone on a 1-on-1 with not a player in sight. With both Toni Kroos and Alvaro Morata waiting patiently for a pass, Ronaldo, scoreless in this match, took the chance himself hitting it straight at the keeper. It was a horrific miss from, Cristiano Ronaldo, who seems to be surprisingly woefully short on confidence. Anyway, top of the league Madrid goes! Cristiano Ronaldo next game is a Copa Rey fixture for Real Madrid on October 26 of 2016, against Cultural Leonesa. You can watch Juventus live stream, Cultural Leonesa vs Real Madrid, Barcelona vs Espanyol, Liverpool vs Tottenham, Arsenal vs Reading, and Bayern Munich vs Augsburg, all matches provided from our streaming football game pages.